One Republican senator is proposing a new solution for sanctuary cities that do not follow U.S. immigration law: Take some of their federal funding and transfer it to a budget for President Donald Trump’s proposed border wall. 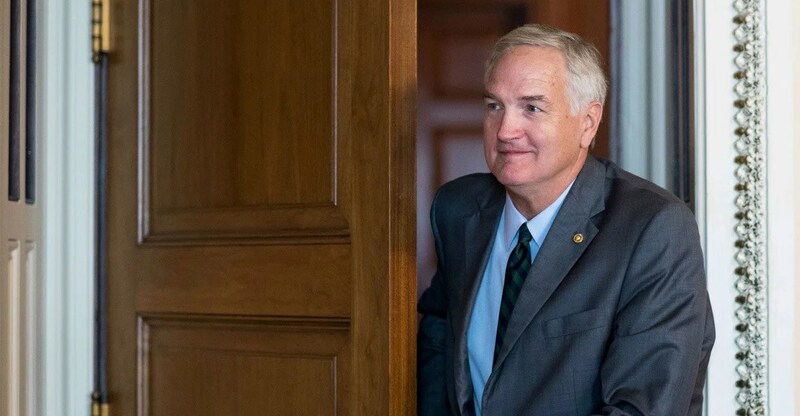 “How many innocent American lives must be lost before security becomes the first priority of immigration?” Sen. Luther Strange, R-Ala., asked the audience at an event Thursday at The Heritage Foundation. Strange’s legislation, introduced in May, would keep federal funds from being given to areas with sanctuary cities that fail to comply with the Justice Department in following immigration law, or that punish small businesses for submitting bids in the construction process for the border wall promised by Trump. My bill has two simple outcomes. Sanctuary jurisdictions can either follow the law or fund the wall. Failure to comply with federal immigration authorities and continued efforts to interfere with the lawful pursuit of border wall contracts by local businesses will be met with the loss of federal transportation and infrastructure grant funding. These funds will go towards the construction of our border wall. Strange, 64, was appointed Feb. 9 to the Alabama seat vacated when the Senate confirmed one of their own, Jeff Sessions, to serve as attorney general. Prior to his appointment, he had been Alabama’s attorney general since 2011. Strange said he believes his legislation is a fiscally conservative way to provide funds for Trump’s promised border wall. None of the funds allocated would be earmarked for other purposes, he said. The Alabama Republican said he is not certain on the timeline for the border wall, but that the project remains a top priority for Trump. The nation will be better served if the rule of law prevails in the immigration process, Strange said. “The fact that citizens and others who are here lawfully might be harmed by an unlawful measure picking winners and losers in the name of illegal immigration is the height of irony and liberal hypocrisy,” he said.